We open in flashback as a young Nora is starting a new job as a nurse in a small strange hospital. The space is quiet and she seems to be a bit confused what she is waiting around for. She sits in an empty nursery with some other nurses until a door opens and a dozen babies are wheeled in. She is confused as she hadn’t seen any pregnant women or heard anything. They are told nothing and Nora is paired with baby Arthur. She asks around and is getting no answers and is starting to get more suspicious as it seems the scientist there have been doing weird stuff to the kids. I told Pete I was going to do three of these in a row. Let’s see how I do. A car drives past. The camera begins to follow the car. It parks and a family gets out and walk towards the fair. It’s a mixed race family. Their son doesn’t seem very excited and is constantly on his phone. His mother teases him, “You know, if you ever looked up from that phone you might experience life. Who knows, you might even see a human female.” The son shrugs and goes back to his phone. The parents are loving it. They pet all the animals and eat all the food. They pull their son into the corn maze. The son follows but he keeps looking down at his phone. He looks up and can’t see his parents anymore. He pulls up google maps on his phone and it obviously is no help. He starts to get concerned and starts to run in the direction he imagines they went. He continues and ends up walking in circles. He is getting more and more scared when the maze opens up revealing a scarecrow. Only 3 weeks left in the year so I should probably use two of them to finish up a trilogy I started during week 41. Title comes from Tigs. Here is a link to the first film The Case for Causality. Arthur is busy with cases and clients. He’s the talk of the town, we are reintroduced to his neighbor Nora who still hangs out with him and helps him as a bit of an office manager. She also helps him when after a long day of using his power he is exhausted and has a terrible headache. She is making him tea and she starts to hum a song. He gets a vision/memory of being younger and that song being sung to him. He freaks out a bit and asks her about it. She tells him it was just a melody stuck in her head. She heads out and he relaxes until the phone rings. Title comes from the wonderful Ashley at Pig Pile last night. I highly suggest going back into Vol 1 and reading her FMFs. They are weird. This title is weird. She is weird. Bud, an elderly man, wakes up from his bed slowly. On the side table there is an old picture of a woman holding a daisy. There are notes written in nice handwriting around his house reminding him to do certain things. He dresses moderately and picks up a corded phone. Next to the phone is a list of phone numbers and he dials the number labeled Walter Jr. His son answers the phone and he tells Walter that he needs a ride to city hall. Title from Tigs. Which actually stands for Titles Instantly Generated Simulator. Wait, did you think I’ve been talking about a real person all these weeks? We open midday in a cemetery. Everyone wears black as a priest talks about the dead. We are told that the deceased, Thomas, died young after a lengthy battle with cancer. The camera pans around the crowd as it talks about the friends of the deceased and we are given glimpses of the rest of the Saturday Matinee Club who are here to bury their friend. To be honest this is the first week of the new volume where I really don’t feel like doing this. But so close to a year! Title is from Tigs! We get a montage of all sorts of cool teens heading into high school. They do a lot of cliché cool teen stuff. We settle on one very uncool teen though. His name is Daniel but everyone calls him Fangs, because of his teeth. He has very sharp canines that look like fangs. I know you were confused so I explained it. He is a bit of an outcast. It must be Christmas because of all the podcasts we’ve been doing! Not because of the movie release schedule around then, because we’re giving you, the listeners, gifts. Well maybe the movie release schedule. Maybe both, it works on a lot of levels. 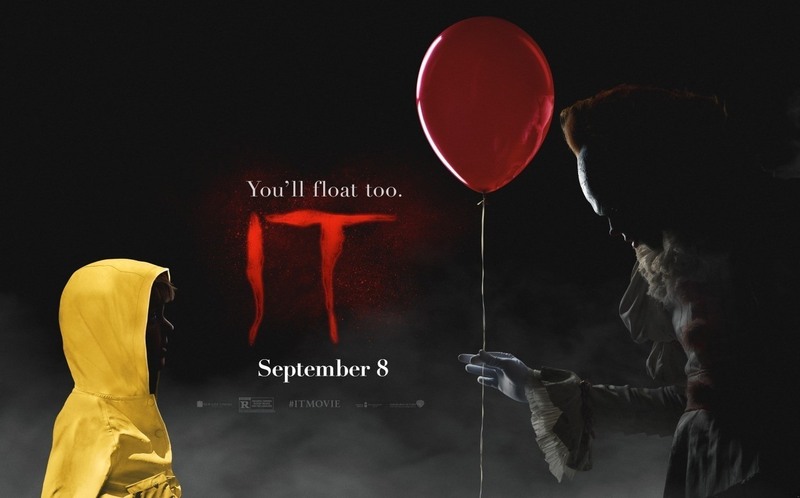 Join Alex, Russ, Peter and myself as we talk about Stephen King’s It, mother!, American Assassin, The Lego Ninjago Movie, Patti Cakes, Wind River, Logan Lucky, Kingsmen: The Golden Circle, Annabelle: Creation and more on this episode of the Movie Movie Podcast. Recorded on October 2nd, 2017. What comes next is an incredibly true story that I have spent the last few weeks researching. This practically isn’t a fake movie Friday because there are so many historical events retold how they happened. Granted the title was from Tigs but it is totally because I was sharing my research notes with him. A young man wakes up to the sound of a rooster crowing and the sunlight coming through the window. He puts on his simple clothes and heads out of his simple home. The year is 1780 and the new country that is America is embattled in the war for independence. This is John Woodworth, a poor humble doctor. Title comes from Pig Pile last night. I can’t say whether or not they meant it with the umlaut or not. I’ve chosen to include it because I think it will make for a more interesting movie. A young couple get make out on the street. The girl looks pretty drunk and the guy is aggressive. A ride share service car pulls up and they get in. Things go down hill for the two and she starts to get angry with him. He is unrelenting and hits her. The car comes to a screeching halt. The guy yells about how the driver should stay out of their business before he is yanked out of the car and thrown across the street in the air with superhuman strength. The driver gets back in the car and asks her where she wants to be dropped off, in a thick German accent. He tells her that it will be free of charge and not to worry. Title card.